WhatsApp on their smart devices not working. Its no longer news that WhatsApp has been discontinued on Blackberry OS, Blackberry OS 10 and Windows Phone 8.0 devices. 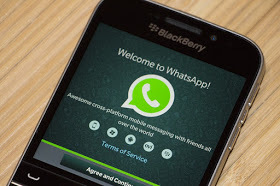 Not everybody is willing to dust off their old blackberry devices at the moment and installing the third party WhatsApp application won't give you the effect of the the default WhatsApp messenger. But here is a simple trick to use WhatsApp on your Blackberry device again and on other windows phone without downloading or installing any third party WhatsApp. >>Restart your phone and open your WhatsApp. Please give us your feedback via the comment box.